There are no mastering codes on both discs. Wow, you really can't say enough for this album. You would think that mixing noise with anything would pretty much drown out all other sound, but Boris is a pretty noisy band to begin with. 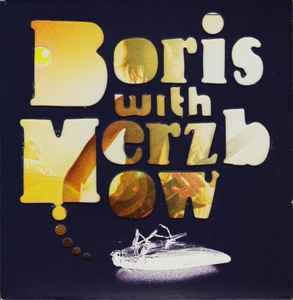 There's certainly times where you can't hear whats going on with Boris, but the mixing is adds a lot to the album. Akita alters his usual sound for something a little more layer friendly, but without holding back. Probably the greatest fusion album in my collection. Probably the most well done collaboration of such strong music personas as well. This is an album you need to hear.